Camp for €18,- a night at Villaggio Camping Sambalon in low season with CampingCard ACSI. Villaggio Camping Sambalon, located in Zambrone (Vibo Valentia), is a campsite with 110 touring pitches and 75 year round pitches. With your CampingCard ACSI you can camp on one of the pitches during the following periods: 21-05-2019 - 14-07-2019 and 01-09-2019 - 23-09-2019. At this campsite you can not only use your CampingCard ACSI for inexpensive camping, you can also use your ACSI Club ID (as an alternative ID). A large, hospitable campsite in fantastic surroundings on the so-called 'coast of the gods', the Tyrrhenian Sea. The sea really is blue here. Culinary delights at affordable prices. 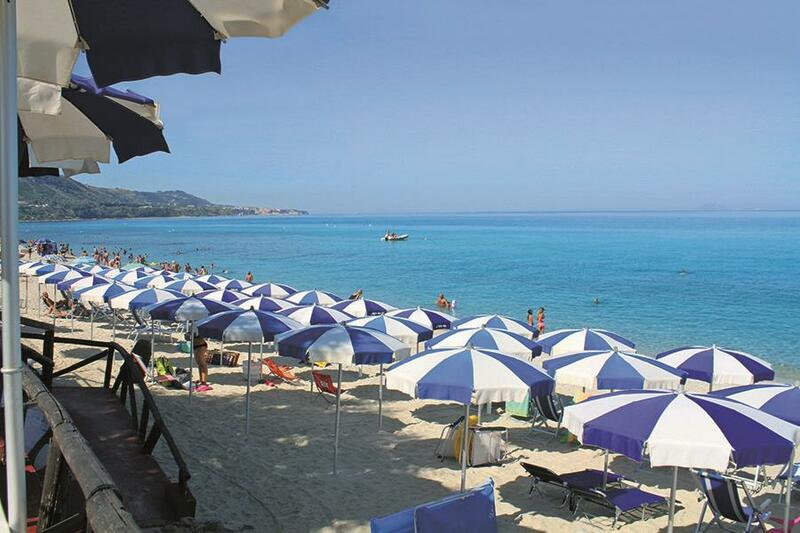 Trips out to the nearby Tropea and Capo Vaticano. Motorhomes longer than 7 m cannot use standard pitches, there's a € 3 fee. Kleiner Platz direkt am Meer. Sehr freundliche hilfsbereiter familienbetrieb, überdurchschnittliche betreuung und gute regionale küche, super sandstrand mit gepflegter liegewiese. CampingCard ACSI will send your information request to "Villaggio Camping Sambalon".